I took my daughters to eat outside and had kinako mochi for dessert. I loved it instantly and wanted to make some at home. So, I bought a bag of Kinako, soy bean flower for the experiment. This was a great recipe to practice with my eldest daughter.She was active during the whole process and enjoyed eating it afterwards. She spare some to show to her dad proudly and ate it together for dinner.Another way of eating this is with brown sugar syrup but my daugthers are not fond of it. 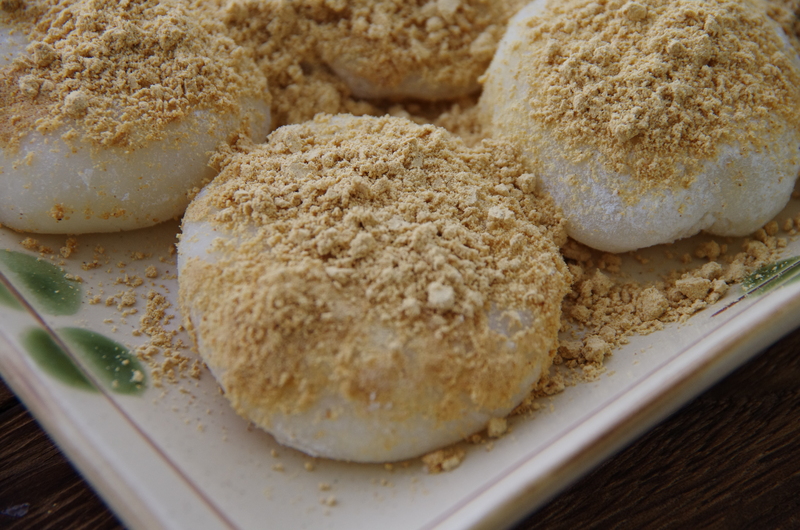 Mochi flour bukan dri tepung beras yah? wah dimana ai nyarinya.